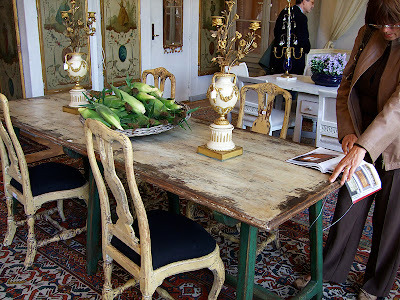 I nearly fell of my chair when I saw these beautiful images on Mrs Blandings' Blog. Thanks for sharing Mrs Blandings!! Wishing you all a wonderful weekend and I look forward to seeing you next week. 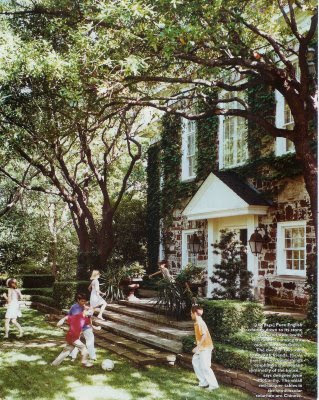 Oh and by the way my Real Living Magazine artile is out thanks to Anastasia for letting me know. I will post a scanned copy of it next week once I receive my copy. I was cleaning out some files in my computer the other day when I stumbled across these old pictures of Black & Spiro. I must say it's interesting looking back at your own work. I'm almost embarrassed to show these images. As I looked through the photographs I started to think about my style and how it has evolved so much in the last couple of years. I can see in these pictures that I have never been afraid of bold colour and bold pattern but I think I may have been a little cautious with what I mixed together which I feel resulted in a safe and almost uninteresting look. Nowdays I find myself mixing so many different styles together to create my own personal look and I finally feel as though I know what I love and I know my direction. This is something that has taken me 13 years of experience to find and now on the eve of my 30th Birthday I can say to the world I feel that my designs have matured and I also feel that I am completely confident in my design choices and I am also completely in love with my design career - here's to the next 10 years which I hope will be filled to the brim with exciting opportunities and lots of passionate design!!!! 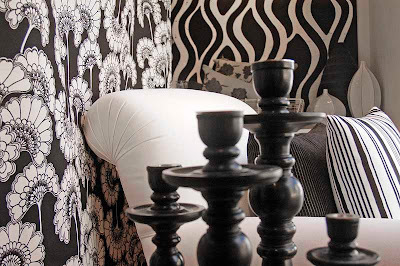 Our current shop display was included in the Home section of this week's Brisbane News magazine as above. I don't think the vintage lamp pictured is going to be with us much longer as we had 3 call enquiries on it today from the article. I'll be sad to say goodbye to this lamp as it really is a beautiful one off piece. I just ordered this cute book for Black & Spiro and had to share it. We haven't received our copy yet so I can't give details. As you all know my style revolves around vintage finds and seeing potential in pieces which other people regard as junk so I think this book will be right up my alley. 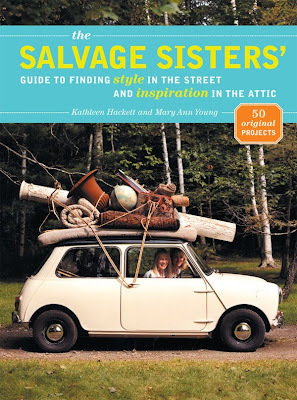 I can't wait to see what the Salvage Sisters find potential in and by the look of the fantastic pieces they have stowed on top of their car roof I think it's going to be an interesting read!! ABT reader Alison sent me these gorgeous pictures of her beautiful lingerie shop, Faire Frou Frou located in Studio City, California. 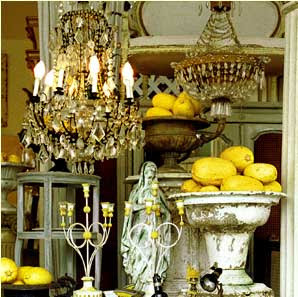 Alison has furnished her entire shop with amazing antique pieces which she purchased from Bountiful in Abbot Kinney, LA. All pieces are for sale but as Alison said she finds it very difficult to part with her favourites - a feeling I am all to familiar with myself. Another young 29 year old successful bussiness woman, Alison and her mother were recently awarded "Best Lingerie Boutique in North America" by the lingerie Industry leaders. What a wonderful achievement and I must say I just love hearing from young business woman and their journey's to success!! Thanks so much Alison for sharing your images and your story with me. 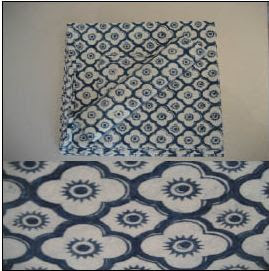 I really love the beautiful hand blocked cotton wares offered by new Australian company Le Petit Motif. 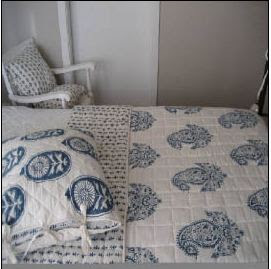 Their online store is a treasure trove of pure cotton printed bedspreads, cushions, tablecloths, napkins and throws. Inspired by historic patterns and prints the range is designed in Sydney, Australia and printed in India where the very first fabrics were created over 500 years ago. 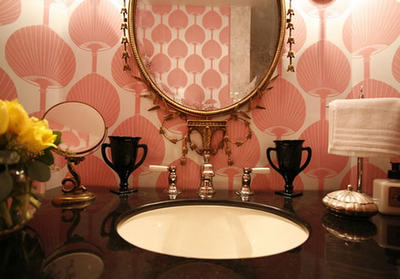 These fresh and unique wares are complimented by a small range of luxurious French milled soaps. Their website is a must visit!! 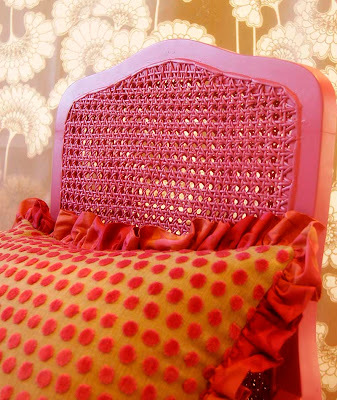 I previewed the latest release fabric collection from Designers Guild today. 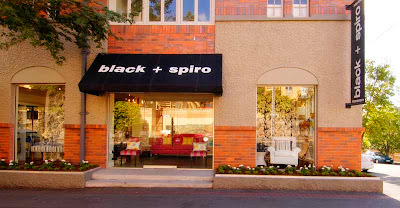 It's very beautiful as usual and I have ordered some fabrics and wallpaper as above for a window display at Black & Spiro for Summer. I'll most probably mix it with some of the new release fabrics from Mokum and also some Sea Cloth fabrics and a few other bright geometrics. 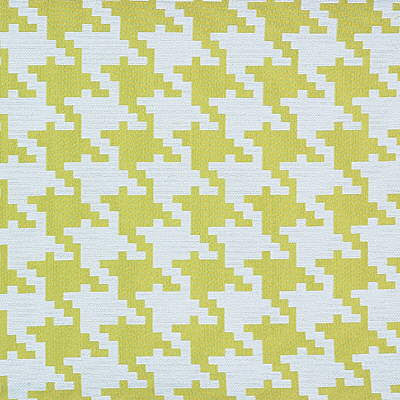 I really love the dominance of green in this latest collection - it's so fresh and so very Summery!! 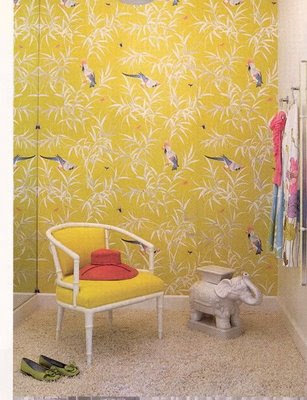 Olivia wrote in to me today and asked if I knew what the wallpaper was used here in a change room in the Trina Turk boutique in Palm Springs. I was unable to identify the wallpaper for her and so I was hoping someone might know what it is. If anyone can help Olivia please leave me a comment in my comments box below. Thanks!! 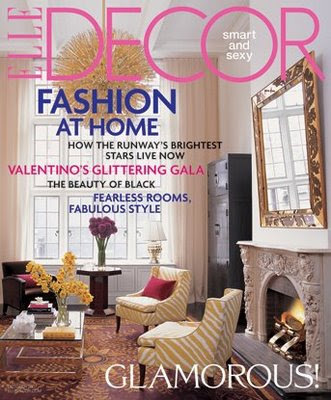 BTW - this paper is also featured in Kelly Wearstler's book 'Modern Glamour'. 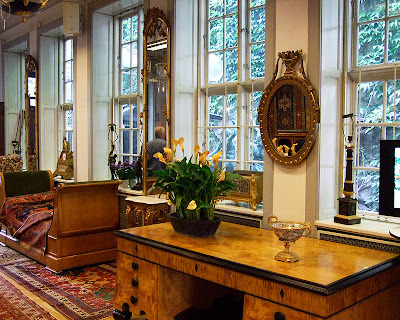 "An auction house established in 1948, BR is one of the ten largest auction houses in the world. It is on the prestigious Copenhagen street, Bredgade, just down the street from the Queen’s Castle. This was the preview I went to, and I walked the 3 floors of the auction house, to preview the International paintings and works of art auction, being held through September 17." 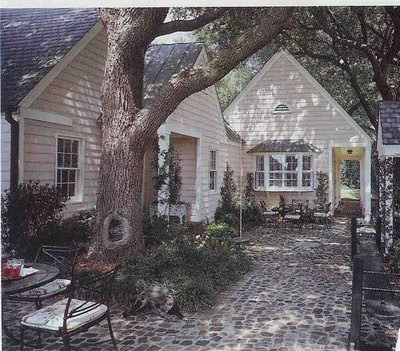 What a wonderful place this would be to visit. Thank you again Susan for sharing your journey through this amazing place!! NB. Jo & Kim @ Desire to Inspire posted more images of Susan's trip earlier this week. 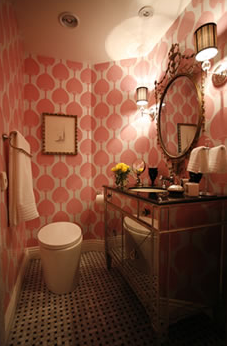 Being an Australian I find myself very proud every time I see a Florence Broadhurst fabric or wallpaper pop up in a room by an International designer so when I saw Brilliant Assylum's post on this bathroom by Woodson & Rummerfield my little Aussie pride jumped up again as the wallpaper used is a Florence Broadhurst design. Despite the questions circulating about Florence Broadhurst and "her" designs I am still so proud of this successful Australian product which is one of very few design products to have succeeded in Australian and International markets. 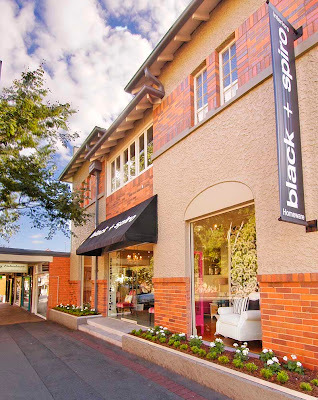 For related post topics on Florence Broadhurst visit Stylecourt. 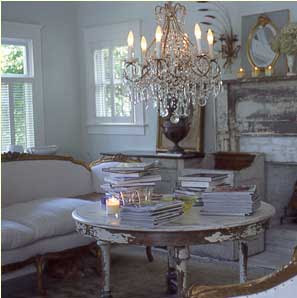 Even though to some this room may appear messy; to me it is just so simple, lived in, unpretentious and gorgeous! I really do love this room but as I have said in the past about all white rooms I would not be able to hold back on throwing some beautiful colourful cushions on the sofa! 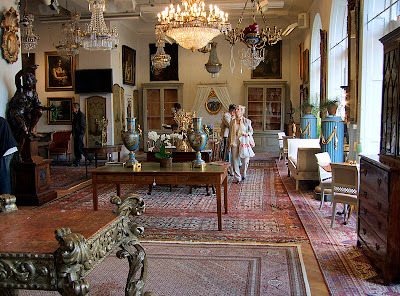 Lots of beautiful pieces in this room! 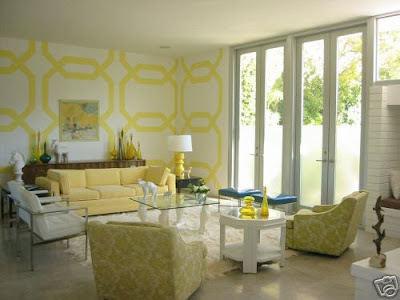 I'm still loving yellow even though we have been seeing so much of it used in fashion and interiors of late. I find yellow so fresh and bright and it always makes me happy. 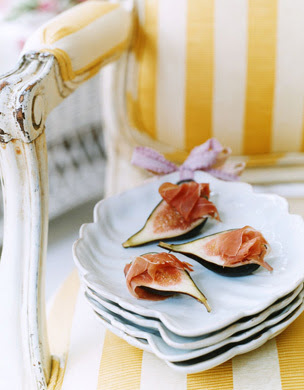 Today I thought I would share some current favourite yellow pics from my "I Love" files. Enjoy! 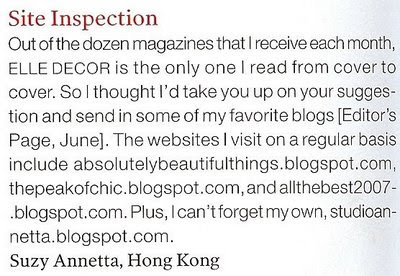 A huge surprise and a huge THANK YOU to Suzy who is the writer of Studio Annetta Blog for including me as one of her favourite design blogs in her letter to the Editor which was published in this month's American Elle Decor. I continue to be surprised by the number of people reading Absolutely Beautiful Things which originally started as a place to record my personal design obsessions and images of my work. I didn't think at the time I started ABT that it would be of interest to anyone other than myself however, I was completely wrong. I have thousands and thousands of people visiting everyday from all over the world and I receive many, many emails which are so encouraging. 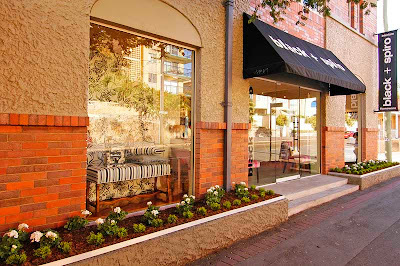 ABT has also brought me so many new wonderful clients and enquiries for me to do work for people are starting to come from not only within Australia however, yesterday I had my first International enquiry which is a very exciting prospect. I would just like to take this opportunity to not only thank Suzy but also to thank everyone else who has sent me kind comments and emails and to all of the lovely blogging friends I have from all over the world. Thank you everyone for your keen interest and support!! I recently updated this old chair which belongs to a client. It was originally a medium timber colour upholstered in a tan leather. 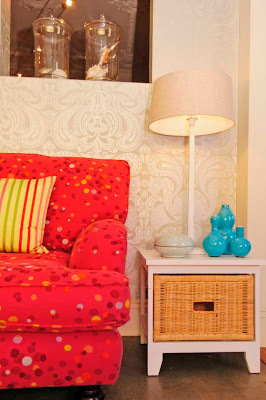 My client wanted to update it so that it worked in her bright, colourful lounge room which I did for her late last year. 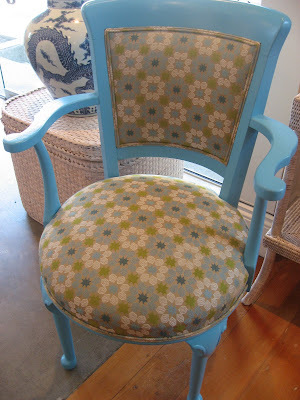 I decided to have the chair frame painted in a vibrant aqua and I selected a Mokum fabric for the upholstery. The chair has certaily come to life and whilst it has been waiting to be delivered out to my client it has resided in the shop and I can't tell you how many times I could have sold it. 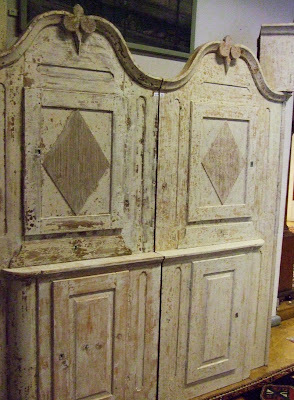 I just thought I would show you that even an old outdated piece of furniture can be brought back to life with a little imagination!! 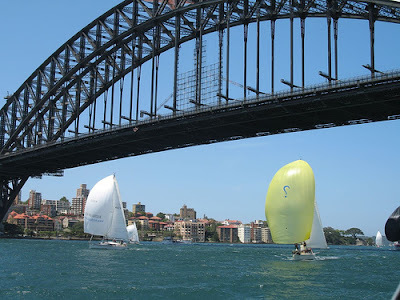 We had a very successful trip to Sydney with lots of wonderful finds for the shop and for clients. I have posted some images above of some of the gorgeous things we bought. One of my favourite things was the pile of colourful and textural antique textiles which I hand selected - I think I'm going to find it very hard not to take them home myself!! I'm off to Sydney for a couple of days to meet with a client I have down there and also to source pieces for the shop and for clients. Hopefully I'll have some great pictures of my finds to show you next week. 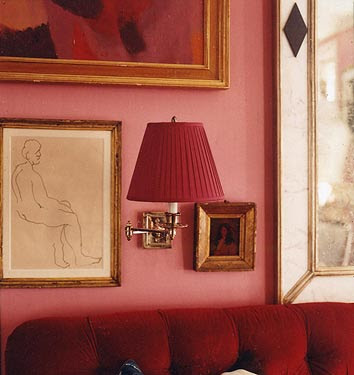 I love this little snapshot of a pink and red room by Miles Redd via Domino Mag - I really love the vintage framed artwork. 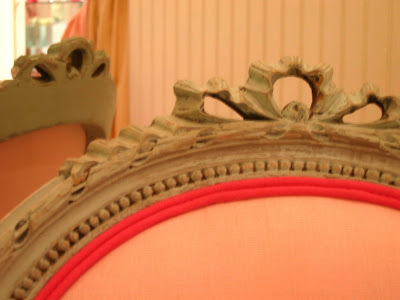 This colour combo (pink & red) has long been a favourite - I once had a pink and red striped sofa which was devine!! I know I've been a bit obsessed with Kitchens lately but I just found this one by Diamond & Baratta and had to post it. I love the blue industrial lights in particular - they certainly provide a wonderful punch of colour along with the blue upholstery on the bar stools.